Like the stylish and glamorous sailing port of Hydra further to the east, the island and port of Spetses is clearly a venue for artists, international travellers and intellectuals and the luxurious charter yachts, motor yachts and gulets can be admired along the picturesque boulevard. Moreover, it is only a short distance from Athens and the port of Spetsis fits well into sailing cruises of 14 day and even 7 day, depending on the speed of the charter yachts involved. From Spetses these sailing cruises head into the gorgeous waters of the Argolic Gulf which offers an abundance of ancient archaeological sites and temples and medieval castles. It is also noteworthy that this region is perfect for sailing courses, either RYA or ASA because of the gentle wind and wave conditions during the spring and long summer period. Reliable sailing schools can be found in Poros, Aegina and of course Athens. Most sailing cruises are done on bareboat charter yachts like Bavaria, Jeanneau, Beneteau Oceanis or Cyclades and Ocean Star yachts. Yet also a considerable amount of crewed yacht charters frequent these beautiful shores. The faster superyachts and gulets combine the Argolic and Saronic with the northern Cyclades, often crossing from Hydra to Kythnos island and then continuing these sailing cruises to Mykonos and Santorini island. Trustworthy yacht charter businesses can be found in Athens and Poros. 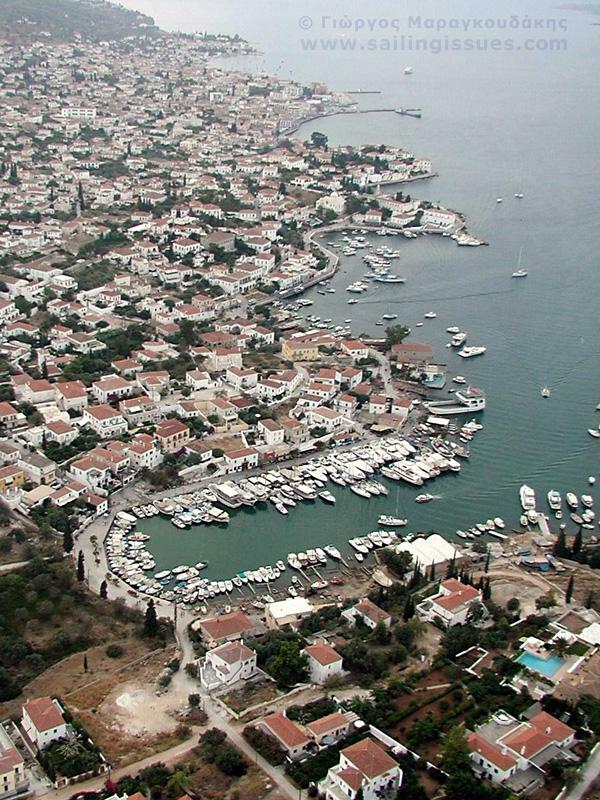 See my yacht charters guide for more information on sailing cruises in Greece out of Athens.
.: Back to the Spetses island :.